It’s Super Bowl time once more. And even though the blogging here has been sporadic at best, I’ve still got some cupcake ideas for you! 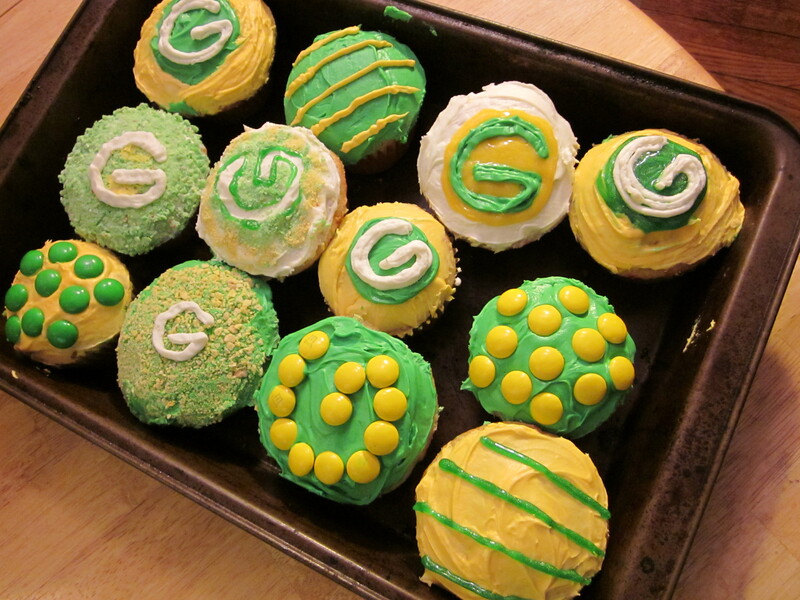 We had some Steelers cupcake ideas a couple of years ago, but this is the first Packers Super Bowl since FifG was born. 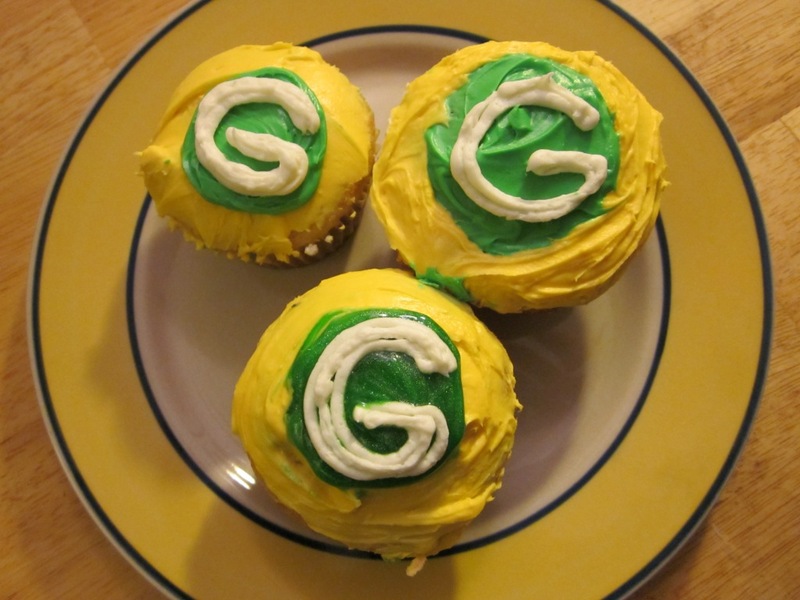 So without further ado, Packers cupcakes! 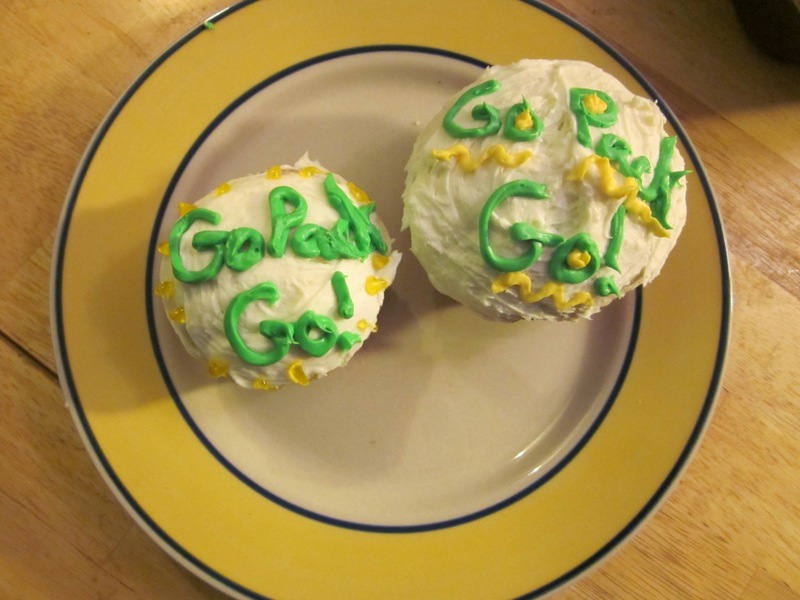 *Cupcakes co-decorated by Friend Cupcake. Nothing too creative this year. 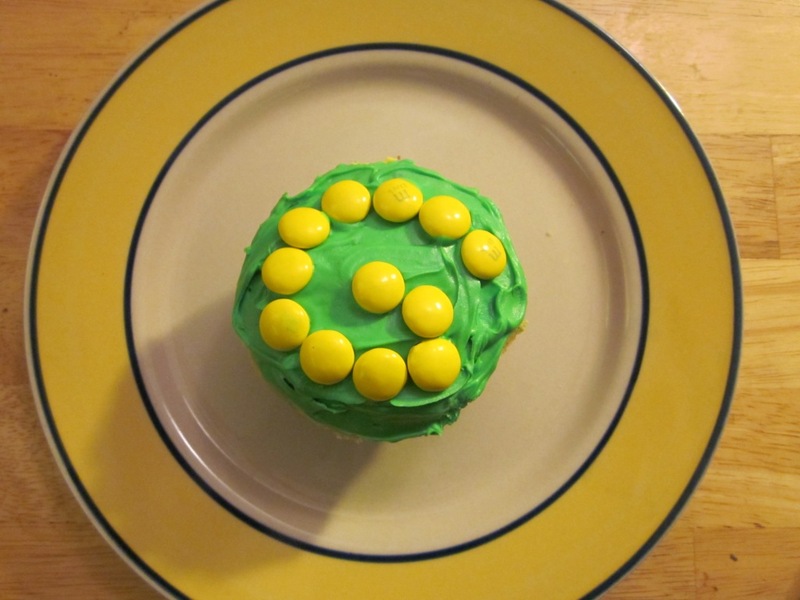 We used some green and yellow M&Ms to decorate, but basically this is just a straight-forward cupcake + frosting situation. We did make one attempt at adventurous decorating. I bought Fruit Loops and crushed some yellow and green loops to make a decorative cereal crumb. 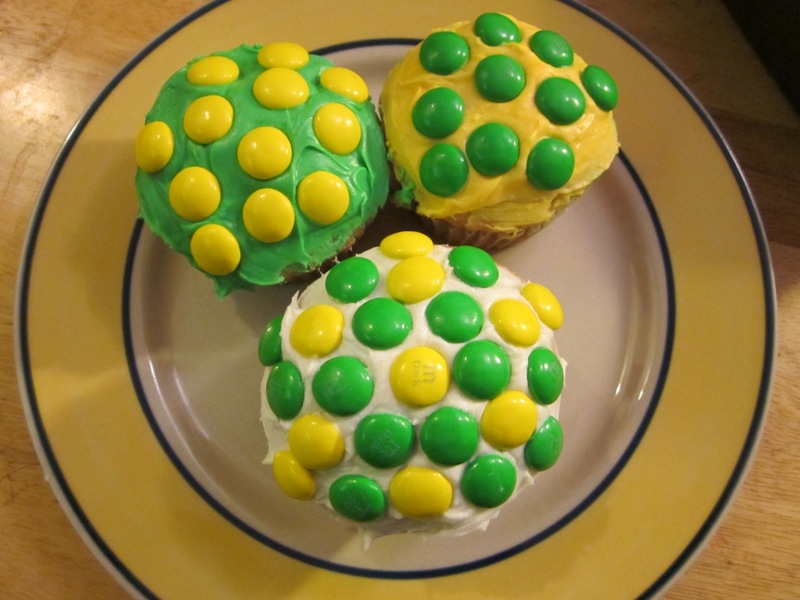 The following cupcakes are the result of that effort. And they look, um, effort-y. 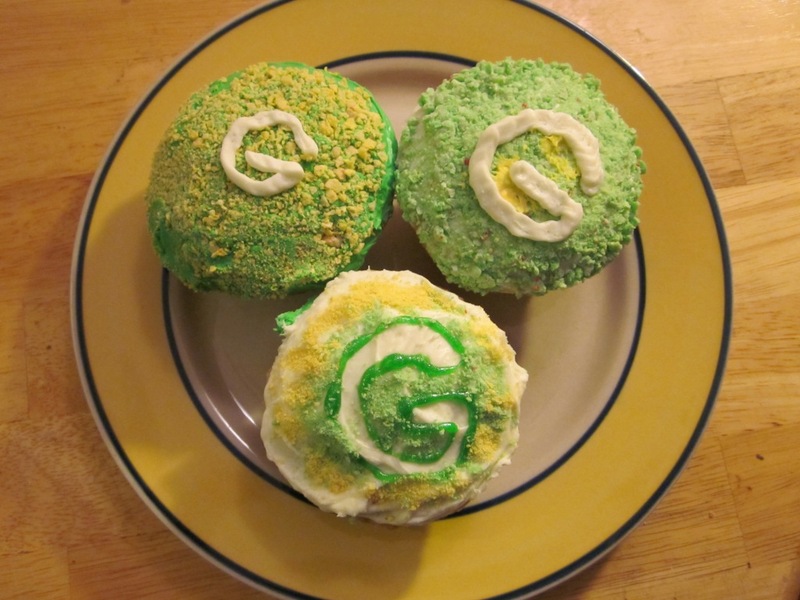 This entry was posted in Cupcakes, Super Bowl and tagged Cupcakes, green bay packers, Packers cupcakes, Super Bowl, Super Bowl cupcakes. Bookmark the permalink.